Below you can view all the homes for sale in the Cascade subdivision located in Atlanta Georgia. Listings in Cascade are updated daily from data we receive from the Atlanta multiple listing service. To learn more about any of these homes or to receive custom notifications when a new property is listed for sale in Cascade, give us a call at 404-998-4063. Photos Are Not Of Actual Home. MLS#6540114. Km Homes Realty. Photos Are Not Of Actual Home! 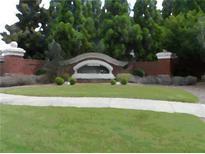 MLS#6540089. Km Homes Realty. Easily Accessible Patio From The Basement Creates An Indoor-Outdoor Living Space For Grilling Out On Weekends. MLS#6536075. Exp Realty, Llc..
Close Proximity To Restaurants And Shops And A Short Drive From Downtown Atlanta! MLS#6537955. Harry Norman Realtors. Photos Taken Prior To Tenant Moving In. MLS#6536971. Rcm National Realty. Offered "As Is". Closing Attorney, Ganek- Poncey Highland. MLS#6536366. Palmerhouse Properties. 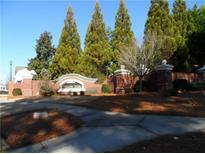 Square Footage Listed Does Not Reflect Lower Le MLS#6534157. Exp Realty, Llc.. This Home Gives You All Your Luxury Touches And More With Our $10,000 Buyers Incentives With Our Preferred Lender. MLS#6532972. On Point Realty, Inc..
Don’T Wait, Schedule A Viewing Today! MLS#6531453. Keller Williams Realty Cityside. Seller Is Contributing $4000 Easter Special Towards Closing Cost With Preferred Lenders. Special Ends 4/20/19... MLS#6530796. Beazer Realty Corp.. Seller Is Contributing $4000 Easter Special Towards Closing Cost With Preferred Lenders. Special Ends 4/20/19... MLS#6531282. Beazer Realty Corp.. Seller Is Contributing $4000 Easter Special Towards Closing Cost With Preferred Lenders. Special Ends 4/20/19... MLS#6531222. Beazer Realty Corp..
All Of This Conveniently Located To Downtown, Airport, Buckhead. MLS#6530816. Maximum One Greater Atlanta Realtors. Two Spacious Bedrooms, Master Bedroom With Jetted Tub, 2,5 Baths, Walk-In Closet, Loft Area, Wood Kitchen Flooring With Black Appliances, Breakfast Area, Covered Patio, Family Room With Fireplace, Close To Downtown, Airport, Restaurants, Public Transportation. MLS#6530119. Maximum One Greater Atlanta Realtors. It Includes A New Roof, Hvac, Plumbing, Electrical, Appliances, Hardwood Flooring, Windows, And Almost Everything Else! Welcome Home Atl MLS#6527853. Exp Realty, Llc..
Has A Full Basement , Property Records Say It Has 2 Bedrooms And 2 Bathrooms, But It Actually Has 5 Bedrooms, 2 Bedrooms On The Main Level, Including A Bonus Room, And 3 Bedrooms In The Basement Area. Bring Your Best Offer! MLS#6526958. Norman & Associates, Llc (Al). Full Renovation Needed But The Interior Demo Has Been Completed So Start Work Right Away. No Hoa!!!! Appraisal Available! MLS#8551770. The Bridges Firm, Llc. Hurry As Home In This Area Do Not Last Long! MLS#6525284. Mark Spain Real Estate. House Was Appraised And Priced To Sell. MLS#6520455. Keller Williams Realty Atlanta Partners. Mins From The Airport, Beltline,D/Town,Restaurants& Shopping. 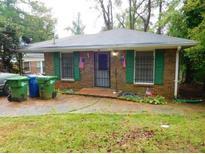 MLS#6519570. Keller Williams Atlanta Classic. This Home Gives You All Your Luxury Touches And More With Our $10,000 Buyers Incentives With Our Preferred Lender. MLS#6519221. On Point Realty, Inc.. This Home Gives You All Your Luxury Touches And More With Our $10,000 Buyers Incentives With Our Preferred Lender. MLS#6519182. On Point Realty, Inc.. This Home Gives You All Your Luxury Touches And More With Our $10,000 Buyers Incentives With Our Preferred Lender. MLS#8543485. On Point Realty, Inc. This Home Gives You All Your Luxury Touches And More With Our $10,000 Buyers Incentives With Our Preferred Lender. MLS#6519207. On Point Realty, Inc.. This Home Gives You All Your Luxury Touches And More With Our $10,000 Buyers Incentives With Our Preferred Lender. MLS#6519204. On Point Realty, Inc..